I don’t know who to be more embarrassed for: myself, for liking this book when I was young; or the genre, for continuing to revere the series and its author. Because, let’s face it, Second Stage Lensman is not a novel we should be holding up as indicative of the genre. A person who has a low opinion of science fiction is only going to have it confirmed by this book. Second Stage Lensman is the fifth book in EE ‘Doc’ Smith’s well-known Lensman series . Which was shortlisted for the Hugo Award for Best all-Time Series in 1966 (it lost out to Asimov’s Foundation series ). 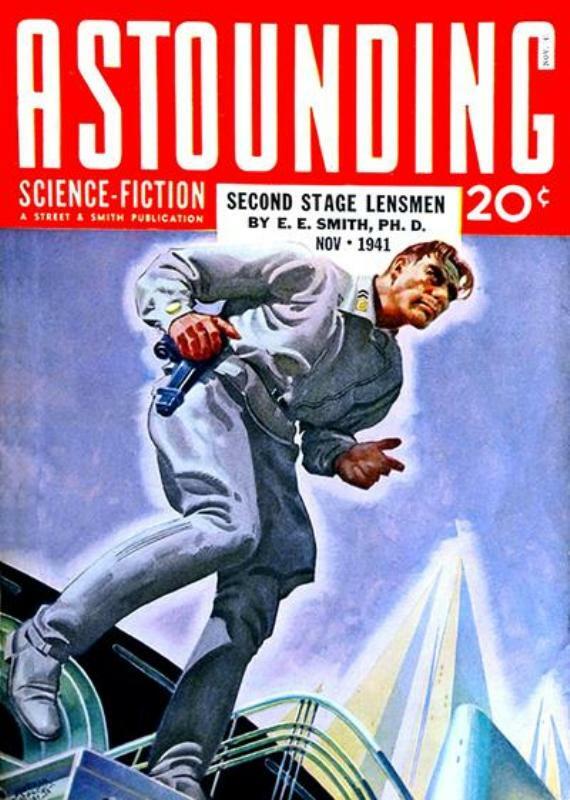 Second Stage Lensman was originally published in Astounding Stories between November 1941 and February 1942. 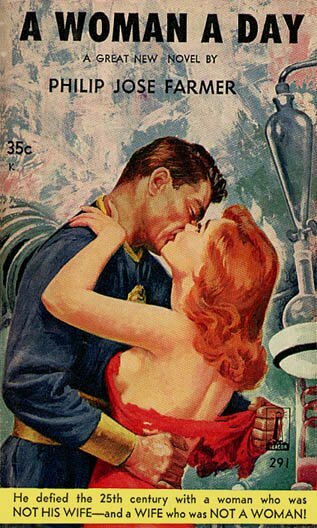 In book form, it was not published until 1953. The hero of Second Stage Lensman is Kimball Kinnison. He is a member of the Earth-based Galactic Patrol, and the Lensman of the novel’s title. (Incidentally, it’s not “Earth” in these books, nor “Terra”. For reasons best known to himself, Smith uses “Tellus”.) A Lensman is someone who carries a Lens, a biological jewel created by the noble, but aloof, Arisians. A Lens gives its wearer great psionic powers, such as telepathy and “perception” (a form of clairvoyance). The corps of Lensmen are one of the weapons the Arisians have created in their ages-long war against the evil Eddorians. Second Stage Lensman opens with a foreword, describing in broad strokes the events of the earlier four books. Since the story-arc of the series covers the Arisian vs Eddorian war, there’s a lot to get through. The novel then dives straight into the story, following immediately on from the events of the preceding book, Grey Lensman . In fact, Second Stage Lensman opens with a vast space battle in the Solar system between the forces of Tellus and those of the Eddorian conspiracy. This conspiracy is called Boskone, and the Galactic Patrol had thought it destroyed. Second Stage Lensman follows Kinnison as he works his way up another branch to its leaders. The books of the series are framed as historical documents written by Smith. He refers to himself throughout as “your historian”, at one point writing “your historian is supremely proud that he was the first person other than a Lensman to be allowed to study a great deal of this priceless data”. Despite this conceit, there’s very little rigour to the narrative – the focus pulls in and out with dizzying speed, events not witnessed by the cast are dropped omnisciently into the story, and there are even assorted lecturettes: one chapter opens with, “This is perhaps as good a place as any to glance in passing at the fashion in which the planet Lonabar was brought under the aegis of Civilization“. At one point, Smith writes “… the appallingly horrible sensations of inter-dimensional acceleration. For that sensation is, literally, indescribable”. And then promptly goes on to describe it. Far worse than this is the novel’s outright sexism. All women – with the exception of Kinnison’s fiancée Clarissa McDougall, the product of a millennia-long breeding programme – are beautiful and brainless. They frequently admit to being unable to “think”. Certainly none, except McDougall of course, are capable of becoming Lensmen. She is given a Lens, despite her protestations that as a woman she has less brains and willpower than a man. Even the alien Lensmen are male. When Kinnison’s investigations lead him to a planet with an entirely female population of humans, they are, of course, all beautiful. And all naked. And they despise men. Of course, Kinnison is an absolute paragon. Not to mention a genius. And the most powerful Lensman in all the galaxies. His colleagues are no slouches either. One, Nadrek of Palain, a non-oxygen-breathing alien from a frigid world, often describes himself as “cowardly”, but it’s put forward as something admirable in his case. There’s very little invention displayed in the book. The various worlds chiefly resemble early Twentieth Century USA but for one or two futuristic details. There are spaceships, of course – ranging from tiny “speedsters” to huge “super-dreadnoughts”. All use an “inertialess” space drive for interstellar, and inter-galactic, travel. However, Smith describes everything that is not inertialess as “inert”, which is not what that word means. He also has a computer working for weeks on plotting courses for all the ships in a fleet, and a communications centre comprising a “million-plug board”. So why are these books still revered nearly seventy years after they were first published? They’re badly written, the attitudes in them are offensive, they show very little rigour in voice or narrative or world-building, and they’re wildly implausible. But people still read them. Why? When they were first published in Amazing Stories and Astounding Stories, each new installment introduced a greater and more powerful threat. The story expanded as it progressed. I can understand the appeal of that. Not to mention opening a story with a space battle between fleets containing millions of ships each. It’s the sheer ever-expanding scale of it all. But scale alone is not sense of wonder, and it’s a mistake to confuse the two. In fact, scale can work against sense of wonder – make everything simply too big and it either loses its wonder or becomes implausible. There’s a fine line to be walked between disbelief and wonder. Using planets as mobile fortresses is sense of wonder. A fleet comprising over a million ships is too much to be entirely plausible (where did all the people to crew the ships come from? how long did it take to build the ships?). I can, sort of, understand why a cast of paragons battling pantomime villains might also appeal to an unsophisticated reader. But. The genre has moved on since then, it has progressed. And the likes of EE ‘Doc’ Smith’s novels are now embarrassments. They are perhaps indicative of the genre at a particular point in time – the 1940s – but they’re not science fiction classics and they are not typical of science fiction as it now is. Some sf novels remain historical documents, of interest only to historians. Second Stage Lensman is one such sf novel. Categories: 2009 reading challenge, book review, ee doc smith, science fiction | Permalink. This is turning into a sort of irregular thing. And why not? This time it’s more watching then reading, but never mind. The Dorsai Companion(1986) and The Spirit of Dorsai (1979), Gordon R Dickson, I read in the, ah, spirit of completeness. I’d loved the original Dorsai trilogy when I’d read them as a kid, but I was less impressed when I reread them a couple of years ago – see here. But there is still something a little fascinating about Dickson’s future history, and The Dorsai Companion gives more information on it than are contained in the various novels. 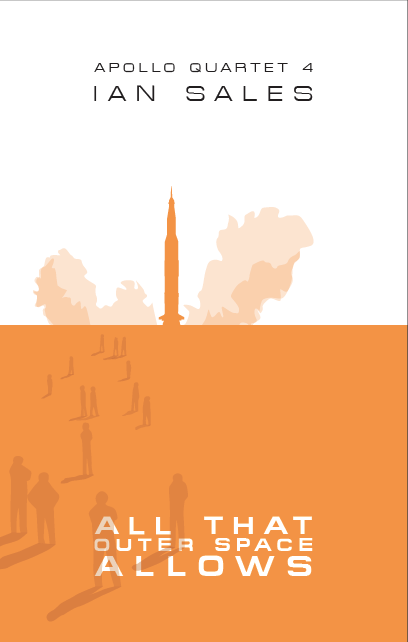 It also contains several short stories set in that future history. And like a lot of sf of that period, the plot is carried via the dialogue. They’re very talky. Which made for an odd experience after reading more contemporary sf. The Spirit of Dorsai shares much of its contents with The Dorsai Companion (or vice versa), so I only had to read a handful of additional pages to finish both books. How to Build Your Own Spaceship, Piers Bizony (2008) was a review book sent to me by Portobello Books – well, I requested it, and they kindly sent me a copy. So, thank you very much. I reviewed it here on my Space Books blog. It’s very good. The Discovery of Heaven, Harry Mulisch (1992), I wanted to read after seeing and liking the film (which I reviewed for videovista.net – see here). Having now read the book, I think the film adapted it very well indeed. The novel is richer, of course, and more happens in it, but nothing of real substance is missing from the movie – if anything, the book does have a tendency to ramble in places. I can also understand Mulisch’s insistence that Stephen Fry be cast in the role of Onno Quist. I doubt it’s a novel I’ll be returning to, although it is very good. Bizarrely, it didn’t strike me as being very Dutch, despite Mulisch being one of the “Great Three” of Dutch postwar writers and this his best-known and best-selling work. First on the Moon, Buzz Aldrin, Neil Armstrong and Michael Collins (1970). 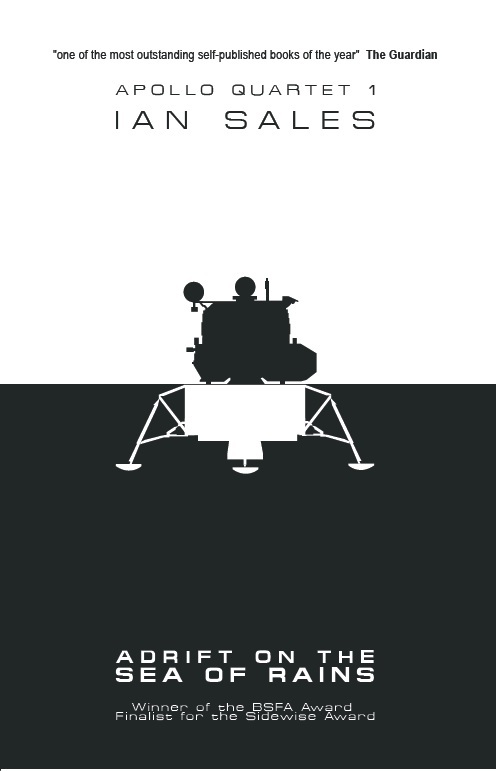 I’m reading a bunch of books on Apollo 11 in order to celebrate the 40th anniversary of the Moon Landing on my Space Books blog. So a review of this book will appear there some time around 20th July. For now, it’s much, much, much better than Shepard & Slayton’s Moon Shot (reviewed here). Offworld, Robin Parrish (2009), was read for a review for Interzone. 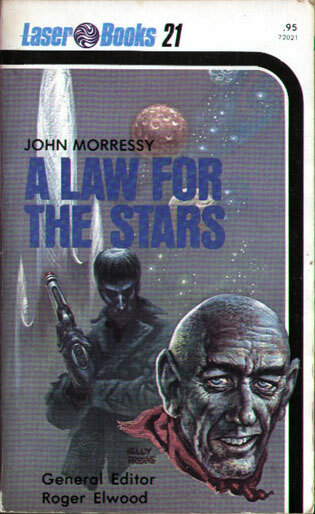 A Law for the Stars, John Morressy (1976), is the first of two of Morressy’s Sternverein novels which were never published in the UK. I managed to pick up a Laser Books edition a while ago (which has an especially ugly cover). Unlike the other Sternverein novels, this one focuses on the Security Troops. Ryne is an orphan from a low-tech world who becomes the perfect Sternverein Security Trooper. 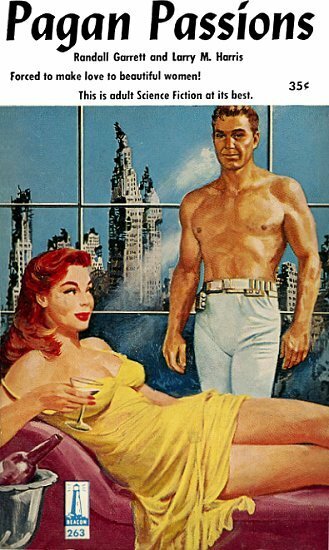 From what I remember of the other books, this one isn’t quite as well written, although it does have its moments. The Duchess, dir. Saul Dibb (2008), is a dramatisation of the life of Georgiana Cavendish, the 18th century Duchess of Devonshire. It’s clearly a star vehicle for Keira Knightley, so it’s somewhat unfortunate that throughout the film she looked uncannily like a puppet from a Gerry Anderson television programme. Other than that, it’s a British period drama. It probably takes liberties with history – I’ve not read the book on which it is based, Georgiana, Duchess of Devonshire by Amanda Foreman, so I’m only guessing. Sumptuously shot, slow in places, and it provided a couple of hours of mild entertainment. Star Wreck 6: In The Pirkinning, dir. Timo Vuorensola (2005), I watched and reviewed for videovista.net. See here. I also watched Star Wrecks 1 through 5 in order to write my review. I won’t be doing that again in a hurry…. Valkyrie, dir. Bryan Singer (2008), I watched and reviewed for videovista.net. See here. Tokyo Story, dir. Yasujiro Ozu (1953), is on the Time Out’s 1995 Centenary Top 100 Films at No. 9. Much as I appreciate Tarkovsky’s films and their glacial pace, at least his cinematography provides sufficient eye candy to hold your attention. Tokyo Story is a slow film, but its focus is on its characters. They’re well-drawn but ultimately it wasn’t enough for me and my eyes were starting to glaze before reaching the halfway mark. Perhaps I’ll try it again some day, although I may need to down half a dozen cans of Red Bull first. Sunrise, dir. FW Murnau (1927) is also on Time Out’s 1995 Centenary Top 100 Films. At No. 84. And despite being only 95 minutes, it felt as long as Metropolis (153 mins) or Pandora’s Box (133 mins). Perhaps that was because it was silent. Or perhaps German Expressionist films just seem to drag on and on. Ah well, at least I can cross it off the list. Titan A.E., dir. Don Bluth (2000), is a strange beast. It’s an animated sf film, which uses CGI backgrounds but traditional cell animation for the characters and foreground “sets”. The two main characters are voiced by Matt Damon and Drew Barrymore, and her voice doesn’t quite fit her character’s appearance. The story has its moments, and some of the CGI set-pieces are quite impressive. Apparently, it’s now a cult film. Maybe that’s because it feels like anime, although it looks like a Hollywood animated film. Juno, dir. Jason Reitman (2007), is a mildly-amusing comedy about a teenage mother, the title character. Unfortunately, she talks throughout like someone whose lines were written to be witty and precocious, so she never feels real. Battle Beyond the Stars, dir. Jimmy T Murakami (1980), is a Roger Corman cash-in onStar Wars, with a plot shamelessly stolen from The Magnificent Seven (and Akira Kurosawa’s Seven Samurai). Robert Vaughn even reprises his role from the western. There’s a lot in it that will make you cringe – George Peppard especially, who appears to have spent the entire film pissed – but Richard Thomas plays a good part, and John Saxon as the villain gives the scenery a thorough chewing. Code Unknown, dir. Michael Haneke (2000), is one of those films whose plot spirals out from a single seemingly unimportant event, showing the ramifications of it on a variety of peoples’ lives. In this case, it’s the casual mistreatment by a French teenager of a Romanian woman begging on the streets of Paris. A young man, the son of Malian immigrants, tells the teenager to apologise to the woman. He refuses… and this leads to a fight. The police turn up and the Malian is carted off. By the time the film finishes, we’ve seen how that one moment of thoughtlessness altered their lives, and yet nothing much seems to have changed. A film it is difficult to like. Supernova, dir. Thomas Lee (2000) – Thomas Lee is actually Walter Hill, but he pulled his name from this, because apparently the studio were unhappy with his cut and brought in Jack Sholder to film additional scenes and Francis Ford Coppola to re-edit it. I can’t say I think much of their “rescue” job because the film is rubbish. I wonder if Hill’s original was any better. Tales From Earthsea, dir. Goro Miyazaki (2006), is a charm-free adaptation of Le Guin’s tetrology. Sort of. It’s been a while since I read the books, But I seem to recall that Tehanu dealt a lot with Tenar’s domestic life – and she lives on small farm in this film. Sparrowhawk is also in his thirties or forties – hard to tell, being animation. He’s voiced by Timothy Dalton, and he’s another example of an animated character whose voice doesn’t fit their appearance. My Darling Clementine, dir. John Ford (1946), is another film from Time Out’s 1995 Centenary Top 100 Films. It’s at No. 38. The film is also notable for its claim of accuracy – when a youth Ford had known Wyatt Earp, and the shoot-out at the OK Corral is staged as Earp described it to him. There’s a horrible casualness to killing in the film, as if the first solution to every problem was to shoot the other person in the back. Makes you wonder why they ever bothered with marshals and sheriffs. I’m not a huge fan of westerns – well, except for Rio Bravo – but this is one of the good ones. Robinson Crusoe on Mars, dir. Byron Haskin (1964), is a classic piece of sf cinema. A US spacecraft surveying Mars narrowly avoids a collision with a meteorite. Both crewmen ject, but only Commander Draper and the craft’s pet monkey survive the landing. He is marooned on the red planet, where he discovers how to manufacture sufficient “air” for him to breathe, finds water, and even finds a native plant which proves edible. It’s all wildly inaccurate – hardly surprising given when it was made. And gets even more fanciful when alien humans from a star in Orion’s belt appear and mine ore using slaves. 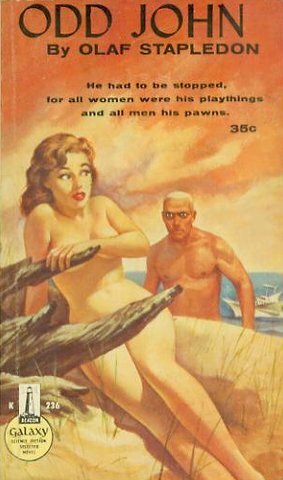 One of the slaves escapes and becomes Friday to Draper’s Robinson Crusoe. The slave is played by Victor Lundin, and I kept on expecting him to break into an Elvis Presley impression. Fahrenheit 451, dir. François Truffaut (1966), remains a favourite after this rewatch. It’s complete nonsense of course, although it makes more sense than Bradbury’s vastly overrated novel. Books are banned… but people can still read. How do they learn to read if there are no books? Never mind. There’s something quintessentially English about the film – despite being directed by a Frenchman, starring an Austrian, and based on a novel by an American. It sort of exudes a late 1960s / early 1970s menacing UK charm, a cross between the quaint contemporary futurism of G-Plan-furnished A-plan houses in green suburban streets lined with silver birches and the reality of Brutalist high-rise sink estates. 5 X 2, dir. François Ozon (2004), is constructed from five incidents in the shared lives of a married couple, recounted backwards from their divorce to their first meeting. The husband, Gilles, is thoroughly unlikeable, and any explanation for his bad behaviour is only hinted at and never explained. It’s clear where Ozon’s sympathies lay. I like Ozon’s films, but he never quite delivers what you expect, or quite lives up to what he’s promised. Admittedly, I’ve not seen all his films. Yet. And finally we have the last of the novellas in this year’s Hugo shortlist: ‘True Names’ by Cory Doctorow and Benjamin Rosenbaum, first published in Fast Forward 2 (published by Pyr and edited by Lou Anders). This one was a headache to read. If I hadn’t been writing this series of blog posts, I’d probably have given up. Which is not to say that ‘True Names’ is bad. I just found it very annoying. One of my pet hates is sf which appropriates the vocabulary of operating systems and networking (not to mention a bit of OO programming). It doesn’t work for me. It’s not a vocabulary designed for, or suited to, telling stories. Stories set in virtual realities, whose viewpoint frequently pulls out of those realities, also don’t work for me. It’s not metafiction, it’s not post-modern in the way, say, The French Lieutenant’s Woman is post-modern. It’s not story, and the makings of story. It’s simply two nested narrative universes, with two different vocabularies. And, using those different vocabularies for essentially the same story often confuses. ‘True Names’ adds further confusion through having the point of view leap from character to character without signalling a transition, having multiple iterations of the same characters, and having new characters randomly introduced as the story progresses. Of course, ‘True Names’ is supposed to be funny, it’s supposed to be gonzo. The references to Pride and Prejudice are clue enough. But I find it hard to find computing terminology witty – I’ve seen so much bad code during my career, I no longer find it amusing. There’s little doubt that ‘True Names’ is more sfnal, and more contemporary, than the Kress, the Finlay, and perhaps even the Reed. But it’s not as well written as the McDonald, and it’s certainly not as clearly written (McDonald’s ornate prose notwithstanding). ‘True Names’ felt too long, felt too forced in places, and for me ultimately didn’t work. Categories: 2009 hugo award, benjamin rosenbaum, cory doctorow, novellas | Permalink. So, let’s see… I’ve read all of them except The Day of the Triffids and River of Gods – but the latter is on the Olympus Mons that is my TBR pile. 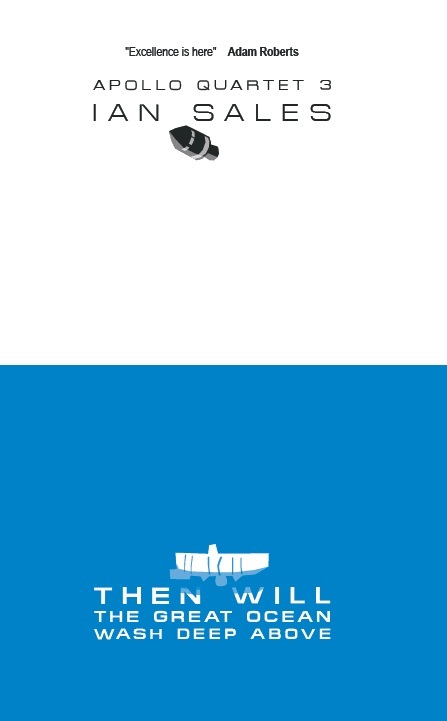 I didn’t like Brave New World and I no longer think The Hitchhiker’s Guide To The Galaxy is very good. As for the rest – yes, they’re excellent novels. But how “crucial” are they? Well, it’s a very… traditional choice of titles. The first five are all novels claimed by the genre, but many non-genre fans don’t even consider them science fiction. And while The Hitchhiker’s Guide To The Galaxy is unabashedly sf, it’s as popular outside the genre as it inside. So it’s not until 1987 and Banks’s Consider Phlebas that we have a true genre novel, one that was published as science fiction by an author who self-identifies as a science fiction author (when he has that middle M, of course). I also question the “defining the genre” and “revolutionising” credentials of some of the books. Frankenstein was certainly seminal, as was The War of the Worlds . But Nineteen Eighty-Four is by no means the first dystopia – Zamyatin’s We predates it by nearly three decades, for a start. Ballard was one of several writers – the New Wave – who revolutionised the genre, and Crash is an excellent example of that movement’s works – but what makes it more “crucial” than, say, one of Moorcock’s Jerry Cornelius novels? Banks’s Consider Phlebas was an early New British Space Opera novel, but as a defining movement New British Space Opera didn’t really kick off until the publication of Colin Greenland’s Take Back Plenty in 1990. As an indication of this, Take Back Plenty won the Arthur C Clarke Award that year; Consider Phlebas wasn’t even nominated when it was published. 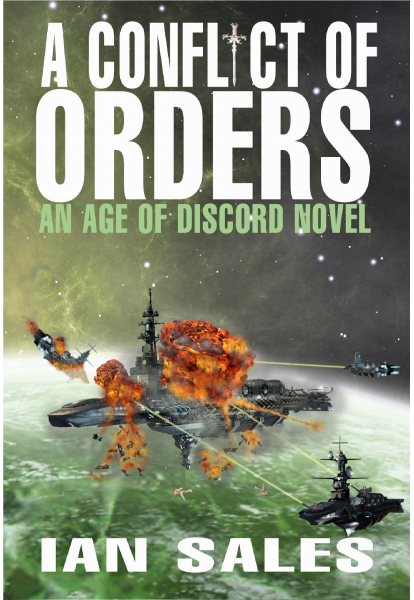 Of course, New British Space Opera later morphed into New Space Opera and is still going strong. Much as I like and admire Light , I can’t quite see what’s so defining or revolutionary about it. It’s not like it kicked off a slew of fiercely literary space operas. And opinion on it among genre readers is sharply divided. An important book, yes. Just like Harrison’s 1975 space opera The Centauri Device . But crucial? And finally, River of Gods … which I haven’t read. And is set in and about India. But unlike British novels such as The Raj Quartet is not about Brits in India. There has not been, as far as I’m aware, any sort of post-colonial movement in science fiction, either started by River of Gods or in which River of Gods squarely belongs. Perhaps there should be. Categories: book list, science fiction | Permalink. My reviews of Star Wreck: In The Pirkinning (see here) and Bryan Singer’s Valkyrie (see here) are now online at videovista.net. I was a bit busy last week, with four deadlines all landing on the last day of the month. So I didn’t get the chance to read, or write about, the next novella on the Hugo 2009 shortlist. Which is ‘The Tear’ by Ian McDonald. This was published in Galactic Empires, edited by Gardner Dozois and published by the Science Fiction Book Club. I actually have a problem with stories from SFBC-published books being eligible for the Hugo Award. You have to be a member of the club to buy the book. It’s not freely available, it cannot be bought in your local Borders, Waterstone’s, Walden Books, or Internet retailer of choice. Hugo Awards should only be given to fiction which can be purchased or read by all. Even more worrying, for a novella such as ‘The Tear’ to have been nominated, it suggests that SFBC members cast sufficient votes for it to appear on the shortlist. The intersection of Worldcon members and SFBC members must be therefore be disproportionately large. Or the number of nominations disproportionately small. But that is all – for the moment – irrelevant. And, I suppose, somewhat ironic, given that ‘The Tear’ is best of the novellas I have so far read from the shortlist. ‘The Tear’ shares it setting with ‘Verthandi’s Ring’, McDonald’s story from 2007’s excellent The New Space Opera anthology. 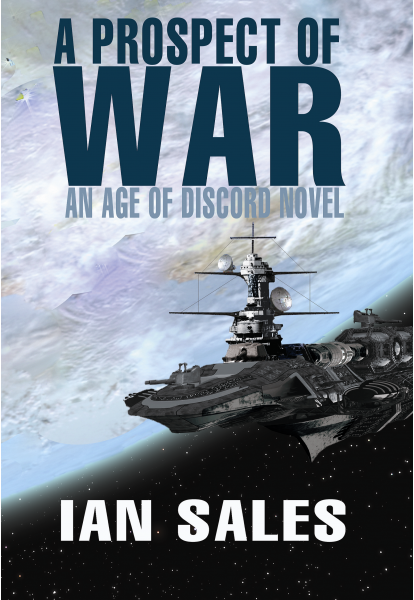 It is baroque space opera, full of big numbers, big vistas, and big ideas. The water world of Tay has been visited by the 800 shatterships of the Anpreen Commonweal, post-humans who have taken the form of nano-motes. A human from Tay, Ptey, learns that the Anpreen are fleeing an enemy. And when that enemy appears on the outer edges of Tay’s planetary system, he leaves his world aboard one of the Anpreen shatterships. He returns alone millennia later to discover Tay has been incinerated. The story then takes an abrupt swerve as it explains the reason why the Anpreen were being hunted. Which in turn leads to ‘The Tear’s one major failing. McDonald has created so rich a background he can’t help but stop his plot every now and again and unload exposition on the reader. In that respect, ‘The Tear’ is even moreso heartland sf than it actually presents: it displays in full the unique vision of the genre, yet fails to overcome its greatest handicap. In other words, ‘The Tear’ full of eyeball kicks. For instance, in the Anpreen shattership, Thirty Third Tranquil Abode, there is a waterfall: “Feet down to world-sea, head up to the roof, it was a true fall, a cylinder of falling water two hundred metres across and forty kilometres long.” This is not true of the other novellas I’ve read from the shortlist. There’s also some lovely writing in it – “… the catboat ran fast and fresh on a sweet wind across the darkening water” on the very first page, for example. There is also writing which is somewhat over-ornamented, which only just manages to avoid falling flat on its face. But then that is McDonald’s skill as a writer: taking his prose to the edge of ostentation, and then pulling it back from the brink before it collapses into a jumbled heap of over-written prose. 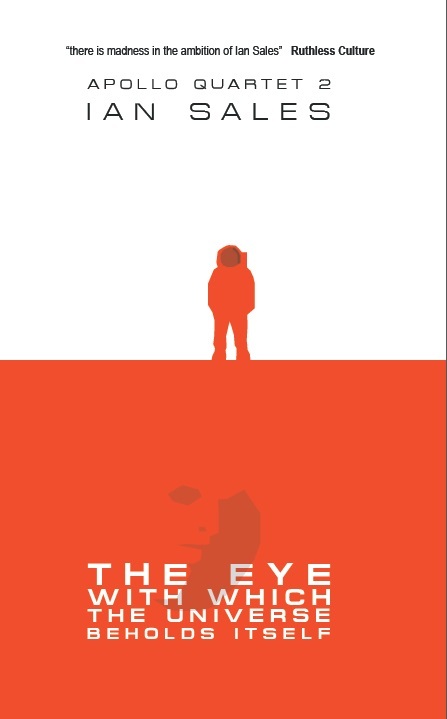 ‘The Tear’ is one of those stories which reminds you why you read science fiction. Not everything in it is convincing – not just the ideas on display, but also the dénouement – but it doesn’t matter. It is as big as the universe and full of fireworks-explosions of ideas, and that’s what good sf is. Categories: 2009 hugo award, ian mcdonald, novellas, science fiction | Permalink.